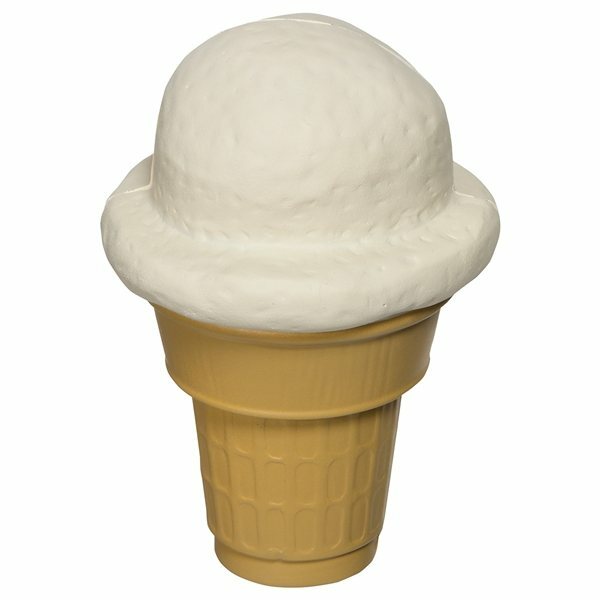 Ice cream cone shape stress reliever, 2 3/4" x 2 3/4" x 4 1/2". Good product for the cost. Very impressed with how rapidly you expedited an order. Nice looking, the imprint looks great! Like the price and customer service. Want to know what finished product will look like. they went out of their way to see that I got the product I wanted and to get it to me on time. Will definetely be buying from them in the future Nice quality and the printing looks great.